Situated near the massive peaks of the Aiguilles Rouges and most notably the Aiguille du Midi, Chamonix is one of the oldest ski resorts in France. The north side of the summit of Mont Blanc, and therefore the summit itself are part of the village of Chamonix. To the south side, the situation is different depending on the country. Italy considers that the border passes through the top. France considers that the boundary runs along the rocky Tournette under the summit cap, placing it entirely in French territory. The south side was in France, assigned to the commune of Saint-Gervais-les-Bains sharing the summit with its neighbor Chamonix. It is this situation "for France," which is found on the French IGN maps. The Chamonix commune is well known and loved by skiers and mountain enthusiasts of all types, and via the cable car lift to the Aiguille du Midi it is possible to access the world famous off-piste skirun of the Vallée Blanche. 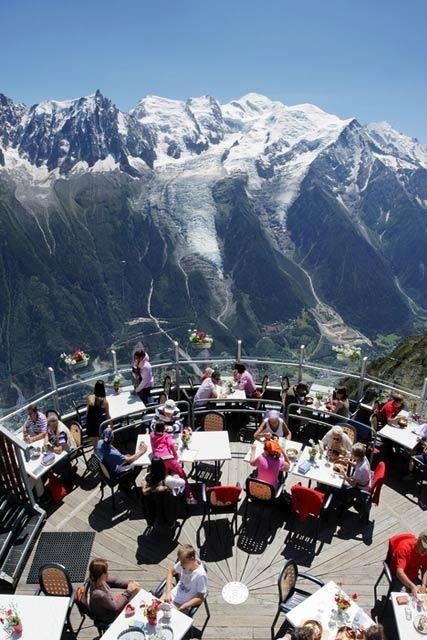 With an area of 245 km2 (95 sq mi), Chamonix is the fourth largest commune in mainland France.